The boom of 1959-63 was led by exports, which, from 1955 on, accounted for an increasing share of the rise in aggregate production. These were the years in which Italian brand-names like FIAT, Olivetti, Pirelli, Zanussi began to sound familiar to foreigners. The money was in cars, domestic appliances, office equipment mass-produced goods not requiring unusually sophisticated technology. While exports surged ahead, the domestic market expanded more slowly. Both prices and wages remained depressed throughout the 1950s, and then accelerated somewhat during the boom itself . But it was not until 1965 that the rate of growth of private consumption began to outstrip that of the GNP as the new purchasing power went in search of cars, televisions, better furniture and food and less tangible goods such as travel and entertainment. Within a few years, and on the crest of a 'renewed but uneasy expansion' following a short recession in 1963-65, Italy's 'consumer society' was born. 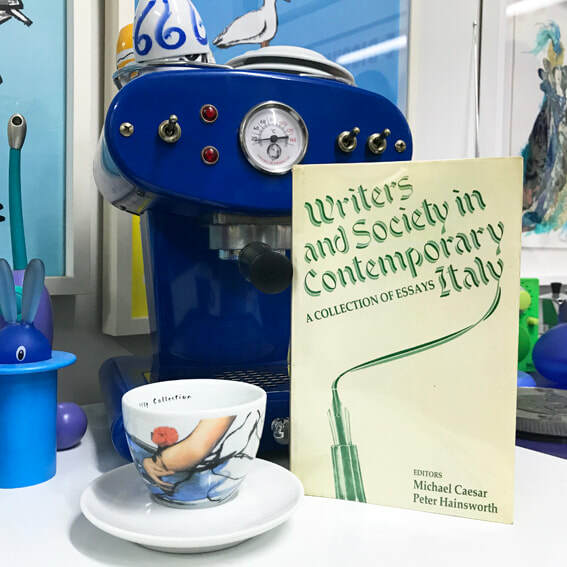 The remarkable expansion of the industrial economy between the 1950s and the 1960s was undoubtedly a tribute to the inventiveness and adaptability of Italian workers and managers. It also led unquestionably to a significant improvement in the material quality of life for very many people. By the late 1960s Italy had come a long way from the situation described by a Parliamentary Commission on Poverty which as recently as 1953 had reported that 24% of Italian households were either 'destitute' (miseri) or 'in hardship' (disagiati), that there was 'overcrowding' (i.e. more than two people to a room) in 21% of dwellings, and that 52% of homes in the South were without running drinking-water, while only 57% had a lavatory. But the economic miracle was not pure uninterrupted progress and it became clear in the course of the 1960s that behind it lay major problems. In the first place it seemed that industry was developing in a dangerously unbalanced way, and that export-led growth was resulting in a splitting of the economy. On the one hand there was a competitive, efficient, technologically progressive industrial sector which, however, provided only a limited expansion of employment opportunities, e.g. in industries using metals and chemicals. On the other hand there was a sheltered home-market sector, with predominantly backward and inefficient methods of production and only slowly rising productivity but with a large capacity for absorbing labour. Much more obvious was a worsening of the imbalance between regions as a result of the boom. Modern industry was becoming more and more concentrated in the North, especially in the 'industrial triangle' formed by Turin, Milan and Genoa. But the richer regions were failing to act as a locomotive for the poorer ones, and the result was what Moss and Rogers in 1980 describe as 'the persisting inequalities in life-chances, on almost any indicator, between those born in the south and those born in the north'. A third problem consisted in the fact that while industry expanded and modernized, agriculture became steadily more inefficient and unproductive. An unsuccessful land-reform in the early 1950s had been followed by mass migration, and what chances there were for a correction of this trend - for example through the use of funds provided by the Cassa per il Mezzogiorno (Southern Development Fund) or those earmarked for agricultural subsidy or regional development by the EEC were constantly hampered by the fourth major obstacle: an overgrown, inefficient and frequently corrupt public administration, whose own shortcomings caused dysfunctions throughout the system. In fact, the politicians had not kept pace either with economic development or with the social evolution (and problems) which had followed in its wake. Nobody doubted, at least in public, the necessity and urgency of reforms: the problem was which reforms, and how to put them into practice in the face not only of the immobility of the state administration, but also of the entrenched interests of the political parties, in particular the Christian Democrats (DC). The DC under the leadership of Alcide De Gasperi had won 48% of the vote in the elections of April 1948 and during the 1950s it reinforced its position of pre-eminence, making the most of the advantages accruing from its commitment to the aims of Western policy within the context of the cold war. Economically, it had, as the main party of government, helped to smooth the way for the miracle, by its direction of state funds and by its hostility to the unions. It should be noted, however, that the entrepreneurial élite of the country did not necessarily identify with the DC, which was intent on building itself as a mass party. Ideologically, it based its appeal on four principal themes: the rights of property, the neutrality of the state, the values of the family, and anti-communism. It therefore straddled, in a conservative rather than specifically Catholic way, the twin and sometimes conflicting demands of free enterprise and moral propriety. In the early 1960s the Christian Democrats could boast of putting a TV in every Italian living-room, but they reserved the right to control what could be seen on it, just as they reserved the right to censor magazines and films. ​By the time of Togliatti's death in 1964, the PCI had managed by and large to shake off its Stalinist past and had augmented its electoral strength. But membership, and in particular working-class membership, was declining. The party had been slow to recognize that the capitalist world, of which Italy was after all a part, had changed at least as much as the communist one. The young people in the factories knew it, however, and they were beginning to develop forms of struggle which the party-dominated unions were not willing to endorse. Although still on a very limited scale, there was also coming from these same workers a form of syndicalism which proclaimed the factory itself as the principal site of confrontation with the ruling class thus throwing the leading role of the party into doubt. It was not until 1961 that the PCI addressed itself to an analysis of neo-capitalism, but when it did, there began to emerge, for the first time since the war, quite divergent strains of thought within it, between those who were prepared to go a long way towards recognizing the special role of union activity in propelling the party forward politically and those, on the contrary, who wanted to keep union activity as an important but limited part of a much broader programme of social reform initiated by the parry. This debate continued through most of the 1960s. While the 'new left', much of it outside the PCI, sometimes mythicized the absolute power of the new forms of capital, it was only slowly that the party was weaning itself from the image of a largely agrarian and impoverished Italy with a small but highly skilled and specialized proletariat and recognizing the reality of a semi-skilled industrial mass participating, or more often not participating, in an increasingly prosperous and expectant society. But the gradual definition of the new reality made it no easier for the PCI than for the other political forces to understand, still less to dominate, the social unrest that gathered momentum in the closing years of the 1960s. The years 1968-69 were the years of contestazione, protest against the system. In the early 1960s access to education at both secondary and tertiary levels had been much extended, but inadequate provision was made to enable the educational system to renew itself in order to deal with the new influx of students. Starting off from what were often localised issues within the universities, the student movement spread rapidly downwards into the schools (thus ensuring for a period at least its own continuation) and, more importantly, sideways into the factories. There the newest immigrants were less ready than their predecessors to accept either the conditions imposed by the bosses or the cautious stance favoured by the official unions. At the same time protest fed on international figures and events, in particular the Vietnam war which served the dual function of focussing in symbolic form the protest of the young against the evils of their own society at the same time as lending that protest the exhilarating security of a sense of international, cross-cultural, human solidarity. 1968 was the year of the students, durirg which the universities were regularly occupied and, for the first time in Italian academic history, ttre police were called in to clear them. The followirrg year saw major confrontations on the industrial front in view of the triennial contracts to be negoriated for 1970-72. 302 mill. hours were lost through strikes in 1969 (as against 74 mill. the previous vear), mainly concentrated in what was called the 'hot autumn' (l'autunno caldo). In many cases these strikes were organized by the rank and file against the union leadership and used methods condemned by the latter, including violence and industrial sabotage. But for the most part the unions were able to ride the tiger. The strikes of 1969 secured wage-rises of 21.6%, for 1970, whereas the average annual increase during the boom had been less than a third of this figure. Beyond that, the autunno caldo ushered in a period of enhanced union militancy which reached far beyond the usual targets of pay and conditions. The early 1970s saw coming from the unions a consistent resistance to speed-ups on the production-line, denunciations of poor housing, transport and social services, demands for more facilities for professional training, and generally demands for a greater say in many issues of social and economic planning. The success of this militancy was reflected in the agreements secured in the 1972-73 round of negotiations. The economic and social gains secured by industrial workers were for the most part sustained for much of the 1970s, until the recession began to force the unions once again onto the defensive. But the political impetus of the students' and workers' movement came to an abrupt halt on 12 December 1969 when a bomb exploded in a Milanese bank located in the central Piazza Fontana, killing sixteen people and injuring nearly ninety others. The attack, though in fact mounted by the extreme right, was immediately attributed by the authorities to anarchists and, in the aftermath of outrage and horror at the massacre, it was depicted as an example of what lawlessness and carnage the protest movement in the schools and factories would lead to. The unions quickly settled on the new contracts, and directives to observe social peace and good order went out from the main left-wing parties. Piazza Fontana, as it turned out, was only one of the first of an almost uninterrupted series of terrorist actions that were to punctuate Italy's political life for the next ten years. Over 400 people lost their lives in the attacks, the highest death-toll being that caused by the Neo-fascist bombing of the waiting-room at Bologna station in August 1980. Two distinct strategies were clearly operatirg under the general heading of political terrorism. Up until the autumn of 1974, most of the incidents took the form of indiscriminate bomb attacks and were the work of extreme right-wing groups enjoying the complicity and protection of certain sectors of the intelligence services and the armed forces. They were part of a 'strategy of tension' (strategia della tensione) designed to push a frightened and disorientated public opinion to the right, not necessarily to accept an overtly fascist government but at least to recognize the need for a strengthening of the state. But then a good deal of confusion was engendered when self-proclaimed leftist terrorists appeared. on the scene. At first dismissing these people as provocateurs, the official left had to come to terms with the fact that there was an autonomous armed movement on its own flank which saw itself as a vanguard of the working class in the factories promoting a struggle of resistance against the counterrevolutionary and reformist policies of the PCI. The targets of the principal groups involved (notably the Red Brigades) were less anonymous crowds than individuals, who were chosen for kneecapping, assassination or abduction on the basis of their 'exemplary' role in the productive or political process. First lower echelon bosses in the factories were singled out, then state personnel, their local Christian Democrat politicians and some Communist officials and shop-stewards, national newspaper editors and journalists. In the person of Aldo Moro who was kidnapped on 16 May 1978 and killed fifty-five days later, the Red Brigades struck at the most representative figure imaginable, the man who had been in the forefront of DC and national politics for over twenty years and who would almost certainly have become the next President of the Republic, someone therefore very close to the 'heart of the state' which it was the Brigades' declared intention to attack. Above all, he was the architect of the understanding with the Communist Party which was to be sealed the very morning of his abduction by the swearing in of a minority DC government supported by the PCI. The seriousness of the problems facing the country, the ever-present threat of reactionary adventures, and the need at last to open to the nation a secure path to economic development, social renewal and democratic progress, make it increasingly urgent and timely that we reach what might be called the new great 'historic compromise' between those forces that encompass and represent the great majority of the Italian people. after a hard-fought compaign in which the PCI was at the forefront of 'lay' opinion, together with Communist successes in the provincial elections of 1975 (33. 4%) and the general elections of the following year (34.4%), ensured that it was in a sense impossible for the Christian Democrats actually to govern without the Communists. That is, they had either to take account of PCI views and policies in forming their own, as they did, to a lesser extent, of those of the other lay parties, or they had to put up with the return to outright opposition of a party whose vote was almost as large as their own, the DC having polled 38.7% of the vote in the 1976 elections. But the fact that the united States, NATO, and a large swathe of conservative Italian opinion would not tolerate the thought of Communists actually entering the government itself meant that, at least in a symbolic sense, it was also impossible to govern with them. Thus the relationship between the two major parties, far from being the progressive 'compromise' which Berlinguer had envisaged in 1973, was in danger, five years later, of becoming stalemate, the epitome of that 'ungovernability' of the country which it had been designed to overcome. The PCI's withdrawal from this unofficial grand coalition was prompted in part by the realization that it was not wringing enough concessions from the government to be able to justify its continuing support to its own voters. At the same time the hard line it took over law and order and the defence of the status quo at the time of the Moro affair, anticipated in the stance it had adopted a year earlier during student disturbances in March 1977 in Bologna and Rome, did nor sufficiently reassure those who believed the PCI was a more or less willing agent of the Russians. The party's fears were realized in the elections of June 1979 when the Communist share of the vote fell to 30.4% while that of the Christian Democrats remained steady. In 1983, however, it was the turn of the DC to suffer a humiliating electoral defeat (its share of the vote fell to less than a third) while the PCI consolidated and in some of the large cities improved its position, and the PSI and the smaller centre parties also gained. The strategy of tension, fears of a coup, left-wing terrorism, the question of political violence, the search for an historic compromise, a grand coalition, a new formula for governing the country, were the dominant themes of Italian politics in the 1970s and reflected the country's radical instability in the wake of the upheavals of the late 1960s. One factor that was perhaps contributing to the instability was the changing social structure of the country and the challenge that this posed to the political parties seeking to represent society. More than 50% of the country was estimated to be 'middle class' in 1974, a calculation which reflected the steady growth in the service sector of the economy (from 27.6% in 1961 to 38.2% in 1971 and an estimated 44.6% in 1980). A major part in this expansion is accounted for by a disproportionate growth in the public administration, estimated recently to have grown by 31.67o in the past ten years and currently employing nearly 4 mill. people. This shift into the service sector has been accompanied in recent years by a marked withdrawal from party politics, though it is difficult to see whether there is any necessary connection between the two phenomena. Caught between sawn-off shotguns and parliamentary minuets, people have chosen to profess contempt and indifference for the political process and to withdraw into privacy. At the same time, however, new and untraditional politics have been emerging, whether in the flamboyant style of the issues-oriented Radical Party or in the mobilization achieved by the women's movement on such key questions as abortion (overwhelmingly endorsed by popular referendum in May 1981). The sense of a gap and one that is widening, between the 'real' country and the 'legal' or 'official' country is one that is frequently expressed. It is not just that no-one trusts the politicians and no-one believes the statistics; it is that there is little or no perceptible relation between what is happening and what is said to be happening. Nowhere is this more evident than at the level of the economy. Italy has been both suffering the worst effects of the recession, with inflation averaging around 20% per annum, high unemployment, especially among the young, shutdowns of industrial plant and so on. But, apparently, at the same time the country has been thriving off a black economy, the exact details and extent of which are not readily available to the taxman. The undoubted prosperity of significant sectors of the population cannot, however, disguise the fact that under the pressure of the recession, in Italy as in Britain, the gap between the rich and the poor in the early 80s is widening, as it is between the employed and the unemployed, between those who are educated and those who are not, between those who can find their way around the bureaucracy and those who are destined always to be its victims, between those who can command specially fitted prison cells to serve their fifteen days for tax-evasion and those who, fifteen years after their homes were destroyed by earthquake, are still living in tents.